Whether your child prefers a paint brush, a microphone, or a spatula, there is always something to create here at Waukeela! As we enter our 95th year this summer, we continue to see the lifelong benefits of our arts program become reality for so many of our past campers. It’s in these creative workshops that important 21st Century Skills like problem solving, innovation, self-direction, and flexibility are built. 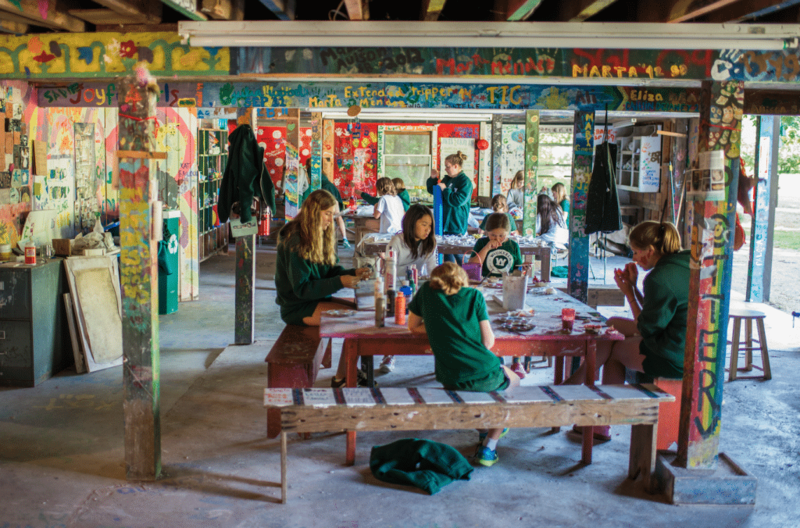 What comes to mind first when you think of an arts program at camp? Probably Arts and Crafts, but it’s not without good reason! Our Arts and Crafts program continues to be a camper favorite for girls of all different interests and skills. Why? Arts and Crafts allows girls to focus on a project that is fun and unique to them. This helps girls find a sense of direction and motivation on future projects in life that might not be as enjoyable as painting a dynamic portrait. Not to mention, it’s just old FUN! The kitchen is where creativity truly comes alive. 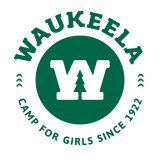 From the simplest dish to the most decadent meals, Waukeela girls learn a variety of skills that serve their stomachs and their future careers! Cooking may not seem like anything more than a nice skill to have, but it helps girls take risks and try new things in a comfortable and fun way. Not every girl wants to take on new challenges on the high ropes or riflery range. Some would rather build these 21st Century Skills in the fun, loud, and exciting environment of the kitchen. If your child dreams of being a star actress, or just loves the inter-workings of the theatre, our drama program is the perfect fit! 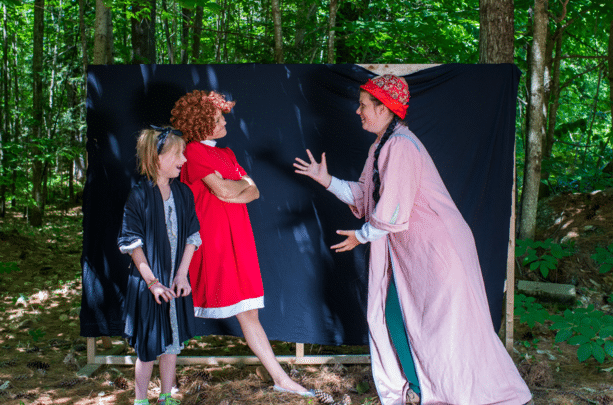 In drama class, girls find their confidence as they bring characters to life on stage. Attending drama class is a pivotal shift for many girls as one of the most important life skills is shaped: public speaking. Public speaking is still deemed the number one fear in the world, and yet it is a vital skill in the modern job market. Drama is a great way to build up this skill while having a blast at camp! Like drama, our dance program helps girls build up their confidence on stage, but that’s not the only lifelong benefit of finding your groove. During dance, campers improve their concentration, memorize choreography, and work together as a team…all while maintaining a stage presence! Dance is a great way for girls to express themselves in an upbeat group setting while also enjoying a little physical activity. Our arts activities at Waukeela help us build a unique environment of leadership and success for girls in their future educations, careers, and aspirations. We hope that we will see your child in one of our wonderful Creative or Performing Arts programs this summer at Waukeela Camp!